Experience and App by Peel Technologies Design and Development Team, Industrial Design by Yves Behar and Fuseproject. Peel is TV, just for you. You tell Peel what you like, and Peel suggests programs you’ll love to watch. 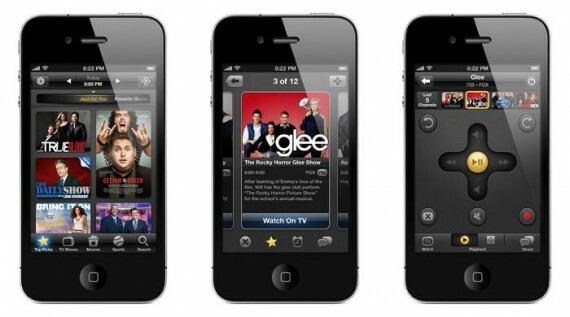 A single tap on your iPhone takes you from looking for shows to watching them on your TV. With Peel, channels, sources, and remotes are irrelevant. The only thing that matters is your entertainment. TV used to be simple, with a handful of channels to flip through. Today, the living room is complicated with many remotes, hundreds of channels, and a clumsy, slow channel guide—all of which make it hard to find something to watch. The fundamental premise behind Peel is that finding and watching great television should be effortless. The Peel App makes it easy to find great TV. Peel suggests a handful of Top Picks based on what you like to watch. Tell Peel your favorite programs, cut what you don’t like, and Peel will calibrate accordingly. The more you tell Peel about your viewing tastes, the more personalized the recommendations. Peel also makes browsing a cinch by organizing programs in to TV Shows, Movies, or Sports and categorizing them by genre. It’s easy to see what comedies are on, or plan the upcoming football weekend. Making TV watching effortless requires smart control of your entertainment system. The Peel Smart Remote device is the missing link between choosing and watching TV. Tap a program to watch, and the Peel Smart Remote takes care of the rest. Peel’s gesture pad provides quick access to the essential controls needed to enjoy your evening. The Peel Smart Remote device was designed by industrial design icon Yves Behar, who wanted the device to stand out from typical AV equipment, and celebrate the new way to experience Personalized TV. Globally, there are few things that people are more passionate about than TV—it’s a shared phenomenon. Unfortunately, as the number of channels and entertainment sources have grown, that once simple TV watching experience has become increasingly difficult and frustrating. In a world with time and place shifted TV, you can watch anywhere, anytime, and with more programming going online, your options are essentially limitless. When all you want to do is veg out on the couch, this incredible choice and complexity can be overwhelming. Peel is like a concierge, ready to serve you and offer personalized recommendations. Peel wants you to be entertained instead of being bored, trying to find something to watch. Peel helps you find the next great show, and helps you connect with people through the shared experience of television. Peel makes your TV social and helps you share your favorite shows with friends.Peel has recently partnered with Samsung and is pre-installed in the new Galaxy Tab 7.0 Plus with an integrated infrared controller. The built-in IR blaster allows users to experience Peel without having to purchase and set up the Peel Smart Remote device. Our new platform gives Peel a great partner and allows us to take this innovation and share it on a global level one living room at a time. The typical 10′ TV UI is a grid of channels by time that resembles a spreadsheet more than a content discovery and curation system. The axes for this grid are time and channels—both of which are becoming less relevant by the day. When trying to find something to watch today, people mindlessly page through an endless list of channels or worse, flip from channel to channel in search of something good. Peel is a fundamental paradigm shift that focuses on the content rather than the channels. Peel categorizes content so that it’s easy to find something your in the mood to watch, and skip the stuff you’re not interested in. You can easily tag your favorite shows and channels, which makes your Peel experience personalized, just for you. Traditional TV remotes are inflexible with many physical buttons that provide tactile feedback. Peel leverages the touch sensitive screen to provide only the buttons you need, when you need them. Peel also provides a smart control pad that responds to simple gestures so you don’t have to keep looking down at your handheld. It’s contextual, so you can either navigate a 10′ TV UI or control volume and playback by simply swiping up, down, left, or right.